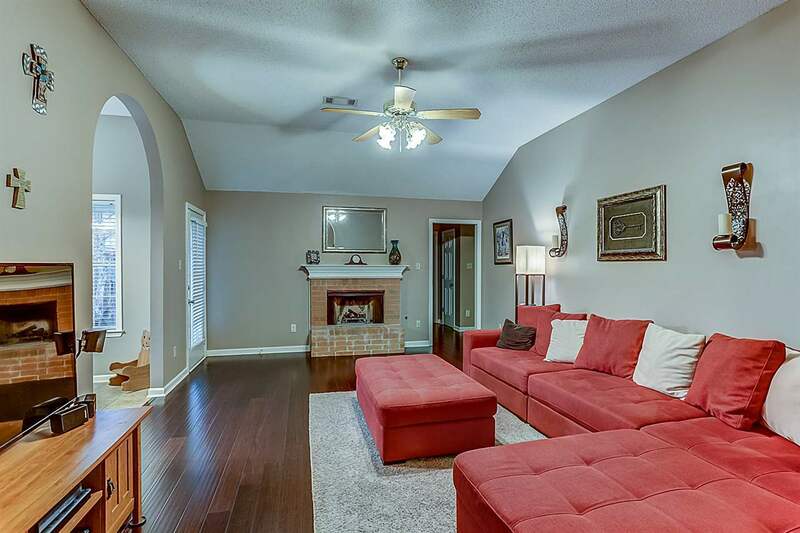 One story well maintained Bartlett home near Quail Ridge golf course. Qualifies for THDA. 3 bedroom/2 bath; nice size bedrooms lots of closets for storage. Updated bathrooms, neutral paint throughout, engineered bamboo floors in family room and dining room. Expandable upstairs. Roof is 7 years old- arch. shingles; home is brick with vinyl siding for easy maintenance. 2 car garage- work bench stays. Home comes with 1 year warranty- Choice Home Warranty. Bartlett schools. A MUST SEE! Selling Office: Groome & Co.